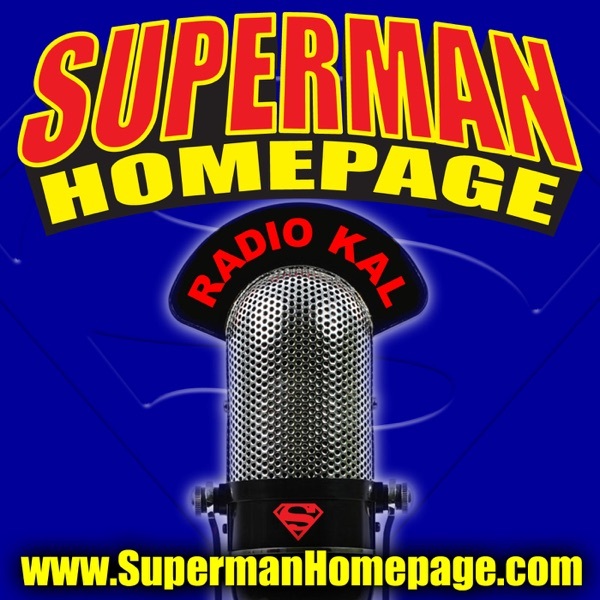 Reviews For Superman Homepage - "Radio KAL"
I enjoy the podcast, but Scotty needs to put down his drink. It is disruptive to hear his drink being picked up, slurped, and put down. Listening to this podcast once a month you can always guarantee that you will be kept up-to-date in the world of superman. The hosts are entertaining and I like the format that they have chosen to use I especially like the fact that they get fans involved by asking the big question and playing the super secret sound bite. Been following comics again since the new 52 hit. I'm a huge Superman fan and listening to these guys talk about the big blue boy scout is great. Guys let you know about pretty much everything going on with Superman. Great show cant wait for Man of Steel and to see what they have to say about it. This is the best Superman podcast! Steve and Scotty do a great job of bringing us all the latest news and giving their informed opinions as well. A must hear for any Superman fan!! Steve and Neil are great! I look forward to each episode! Great superman news updates and two funny guys that I think we all can relate to . Without this superman podcast the other guy is right we all would be lost in the phantom zone !!! And I love what Steve, Neal, and the rest of the team do for Superman. Without them I'd be a lost and lonely fanboy. Thank you guys for your devotion to discussing all things Kal-El! If you are a Superman fan, then this is the podcast for you. My only complaint is that I wish it was more frequent than monthly. While the sound effects seem quite professional, the voice talent is definitely not. Nearly every character is miscast, and everyone seems to be recorded at different volumes. It ruins what would be an enjoyable podcast. When I listened to the first few podcasts, I thought the show was all right. But every episode, it keeps getting better. I look forward to more now that the Pendant Productions is branching out and doing Batman and Wonder Woman audios. This is a really entertaining show and that's all that matters. The content is good but the voice actors sound like they are bored reading from a script. Steven Younnis casting himself as Supergirl's Boyfriend named "Steven Younnis" is cheesy and some would say pathetic. As one of the people involved with the audio dramas produced by Pendant Productions I am constantly and consistently impressed with the raw talent exhibited by the amature actors who make up the cast of 'Superman : The Last Son of Krypton'. With very few exceptions we all started out with little or no experience and have been learning together how to record audio and how to use our voices to communicate dramatic content in the medium of radio drama. I hope that you'll enjoy our work as much as we have enjoyed creating it. Although some what corny the show is really gripping, I love superman! Keep it up!